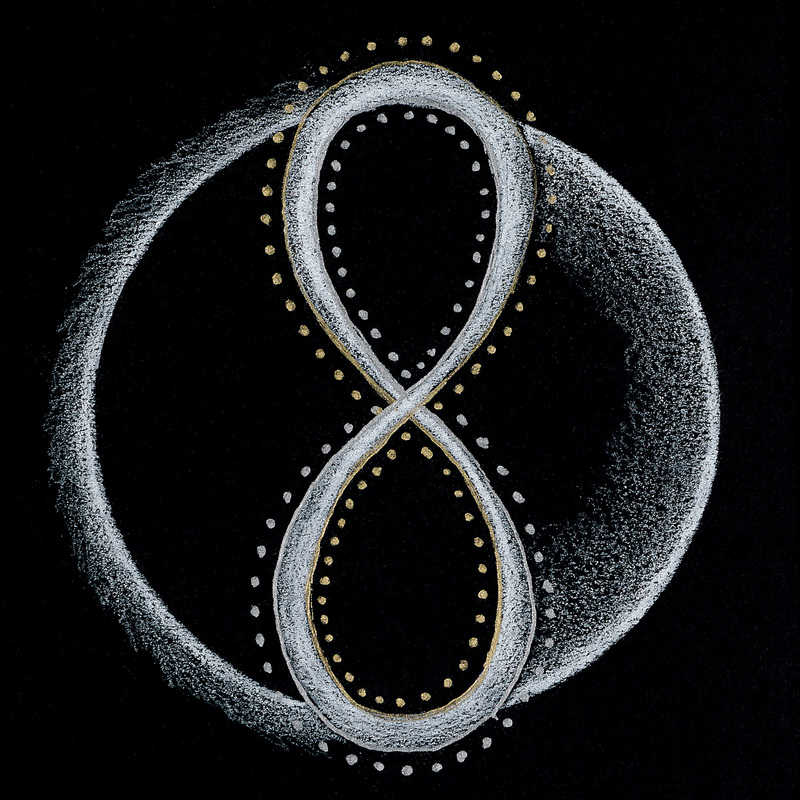 By twisting a circle in half, you create the symbol for infinity and the shape of the number eight. Eight is the number found in the eight-spoked wheel of Buddhism, the eight seasons of the Celtic Calendar and the eight aspects of the Taoist Bagua. The seven chakras create the eighth chakra that flows through us and around us. The infinity symbol reflects the soul’s inner and outer journey. Reincarnation is a central belief in most cultures, yet not acknowledged within the western mind. By not reincarnating the cycle of life is seen as linear and finite. Origen of Alexandria (184-253 ACE), one of Christianity’s greatest theologians believed in reincarnation. In 545 ACE, Roman Emperor Justinian composed a papal decree that made reincarnation punishable by death. Pope Vigilius refused to sign the decree and was placed in jail. Vigilius escaped so Justinian enacted the law himself. The concept of infinity is often expressed through math. Archimedes (287-212 BCE) is credited with identifying the exact calculation of pi as an infinite number. Pi (π) is the ratio of the circumference of a circle to its diameter, or 3.14159. Another expression of infinity is expressed by the Fibonacci Sequence (0 + 1 = 1, 1 + 1 = 2, 1 + 2 = 3, 2 + 3 = 5, 3 + 5 = 8, 5 + 8 = 13 etc….) The Golden Mean, Golden Ratio (Phi) and Golden Section are all mathematical concepts of infinity. Message: The past is repeating itself for you to learn from it and move forward. Allow your past to provide the information or inspiration you need in the present to help you explore all possibilities for your future. Embrace your infinite nature by enjoying each and every moment.